Hanford has always placed great importance on good manners. In a boarding school manners are essential, as living together requires children to be more accommodating and respectful of one another’s space, feelings and possessions. Childhood rudeness is often unintentional; children are unaware of the social mores that govern their lives as they sit and pick their nose, interrupt your conversation or comment loudly on the size of someone’s bottom. Rather like when Piglet asks Tigger, “Where are your manners?” and is told, “I don’t know, but I bet they’re having more fun than I am.” children become frustrated by the senseless protocol that gets in the way of having a good time or heading off on their next adventure. At Hanford, we aim to make having good manners a positive and rewarding experience. Mrs Beeton said, “All creatures eat, but only man dines”. While eating is a physical need, meals are a social ritual and one that we believe is an important part of daily life at Hanford. Every Monday, Mrs Johnston, head of Pastoral Care, creates a seating plan for the whole school where she mixes together the year groups. 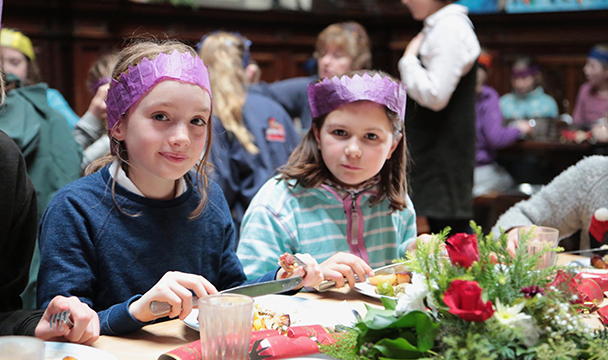 After grace, a member of staff serves their table and conversation and good manners are very much encouraged. To make table manners fun at Hanford we have devised the ‘Manners Table’, a ranking system of eleven different levels with ‘Piglet’ at the bottom and ‘Royal Guest’ at the top. Each level has a different name to describe the behaviour, for example, a messy eater will be a ‘Panda’ or even ‘Cave Lady’ whereas those girls who have mastered dining rather than merely eating will be a ‘Favourite Auntie’ or ‘Best Granny’. When new girls join they start somewhere in the middle with the aim of working their way up as quickly as possible. If they should become a ‘Royal Guest’ they are allowed to bring their own jam to breakfast. Every Friday after lunch, Miss Morrey reads out the week’s manners rankings. If a girl is moved up then they are given a sweet while others may be warned or some even moved down. 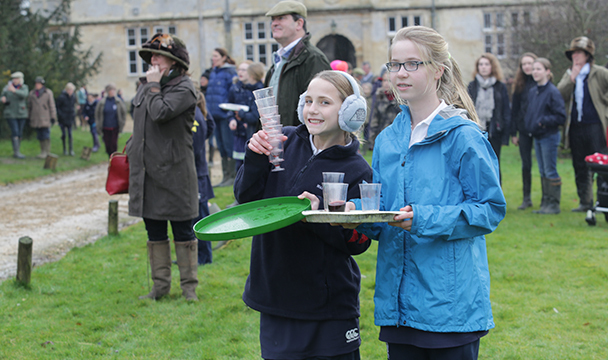 At various events throughout the year such as: the Carol Service, the Portman Hunt Meet and the Pimpernel Beagles’ visit, we encourage girls to act as hostesses, handing round food and drink. Being given a tray of delicious eats can help even the quietest girl overcome her natural shyness and help her to grow in confidence. While table manners, pleases and thank yous cost little and reward much, there are other courtesies, such as letter writing, that require sacrificing a little time. Even the briefest handwritten note from a child away at school is something parents cherish but letter writing is an important habit to encourage. At Hanford we set aside time on Sunday before Chapel for letter writing, where staff are on hand to assist. The girls soon learn to enjoy writing, often sending multiple missives to friends and family. Good manners are a way of life at Hanford and not something pulled out just to impress people. By reinforcing their importance every day we hope they will become second nature, helping girls to operate confidently not just at school but also in life.